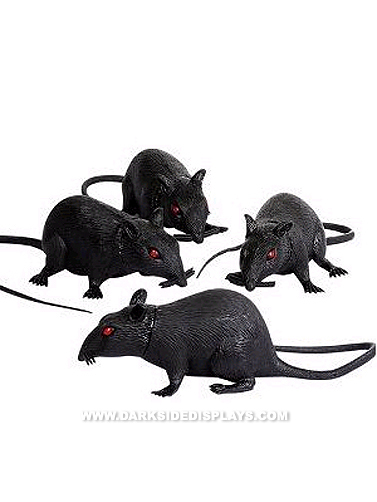 This black rubber rat is sure to make people uncomfortable when you place one in your Halloween display. Features red eyes and a knotty tail. Squeaks when you squeeze it making it a fun toy for cats and kids. Black Rubber Rat measures 17"L, body is 5"L x 3"H with a 12" tail. 1 pc.